“…despite his stern Calvinist upbringing” – Why is it that in the modern media the word ‘Calvinist’ is always accompanied by ‘stern’, ‘dour’ or ‘strict’? Most of the people who use the terms together have next to no knowledge of what Calvinism is - and know even less about who Calvin was. An old-style reactionary? A hard-line ayatollah, raging at the world without any thought? - or is there more to this man than uninformed contemporary critics would have us believe? Robert Reymond brings us John Calvin the man. A reality quite different from the caricature often painted today. Here is a man of deep spirituality with a real love for his fellow man and God. A man also with tremendous intellectual abilities. 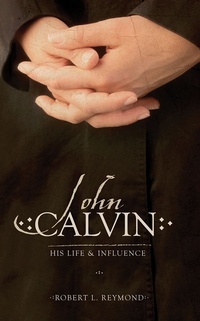 Whether the moniker ‘stern Calvinist’ is applicable or not – his life has much to teach us.